Diet and exercise are the main stay of diabetes management. Still a majority of type 2 diabetic patients require tablets to control blood glucose in addition to diet & exercise. Biguanides (Metformin): It is the first line agent in all type 2 diabetics along with life style modifications. It improves insulin sensitivity by decreasing the formation & increasing the utilization of glucose in liver, resulting in decreased hepatic glucose output. It controls mainly fasting blood glucose, also controls postprandial. It causes loss of appetite and thus results in weight loss. It is an ideal drug for obese diabetics. Side effects are gastritis (epigastic burning), metallic taste, nausea, vomiting and diarrhea. It should not be used in patients with severe hepatic and renal disease. Sulphonylureas (Glimepiride, Gliclazide, Glibenclamide, Glipizide): These stimulate pancreas beta-cells to increase insulin release. These are good for patients who eat regularly at normal times and have fasting blood glucose < 200 mg%. Side effects are weight gain, hypoglycemia, heart burn and interaction with other drugs. Insulin Sensitizers or Glitazones (Pioglitazone): These medicines improve insulin sensitivity in skeletal muscles and fat i.e. better uptake of glucose. These medicines do not generally lead to hypoglycemia esp. when used alone. These agents are associated with weight gain due to fluid retention. These should not be used or used very cautiously in cardiac patients. Insulin Secretagogues (Repaglinide, Nateglinide): These increase insulin release from pancreas like sulphonylureas. These are fast acting and have a shorter duration of action thus should be taken with the first bite of every meal. These are useful in patients who skip meals or have irregular eating habits. These can be taken in patients with renal disease. They can cause hypoglycemia. DPP- 4 Inhibitors (Saxagliptin, Vildagliptin, Sitagliptin, Linagliptin): These medicines increase the concentration of incretin (GLP1) a gut hormone, by inhibiting its degradation by DPP-4 enzyme, resulting in increased secretion of insulin from pancreatic beta-cells. These also suppress glucagon secretion from pancreatic alpha-cells. They may also increase the number of beta-cells (seen in some animal experiments). These are weight neutral and do not cause hypoglycemia (unlike sulphonylureas). Alpha-glucosidase Inhibitors (Acarbose, Miglitol, Voglibose): These medicines delay the digestion of carbohydrates, thus resulting in less production of glucose in the gut. These do not cause hypoglycemia. They have gastrointestinal side effects like abdominal distension, flatulence & loose motions. These should be thus started in low dose initially and then gradually increased over weeks to avoid gastrointestinal side effects. Incretin Mimetics (GLP-1 Analogues) e.g. Exenatide (Byetta), Liraglutide (Victoza): These are exogenous incretins which increase insulin secretion from pancreas. They also result in weight loss and are ideal for obese patients. These can be given only as injections. These can rarely cause pancreatitis and should always be started under medical supervision.
" 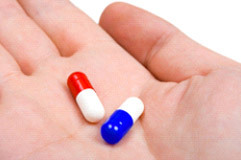 Always remember that the Type of medication and Dose vary from one patient to another. Thus strictly adhere to your doctor's advice and never change the type or dose of your medicine. Never recommend your medication to another patient as his/her needs may be different and this may cause more harm than benefit."